Access free internet anywhere using Wi-Fi hotspots with FreeZone. 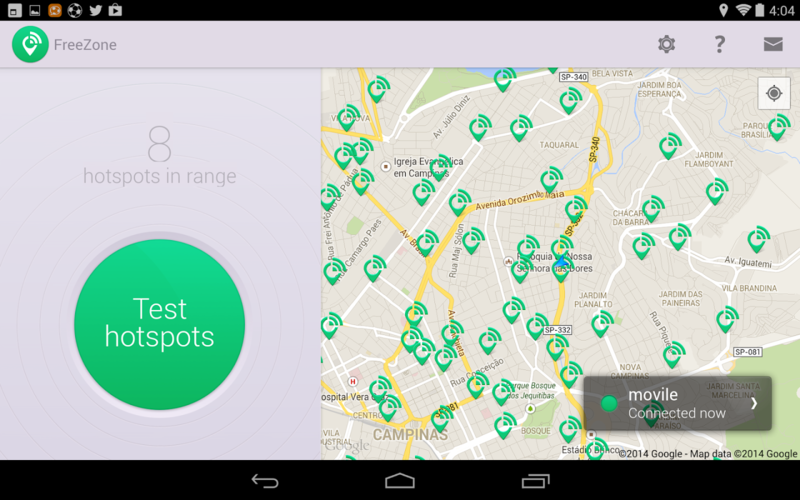 Automatically discover which free Wi-Fi hotspots really work. Use passwords shared by others and access Wi-Fi hotspots in bars, restaurants, malls, and other public places. 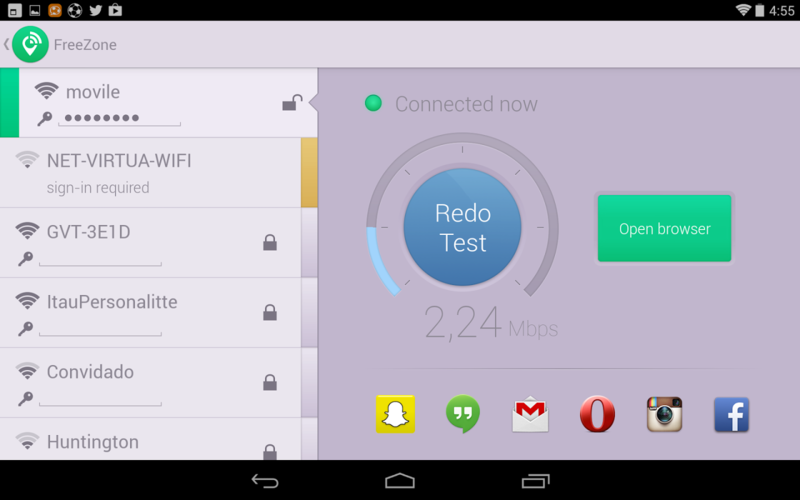 You’ll be automatically notified when you’re in range of a free Wi-Fi hotspot. See a map of places near you that offer free Wi-Fi. 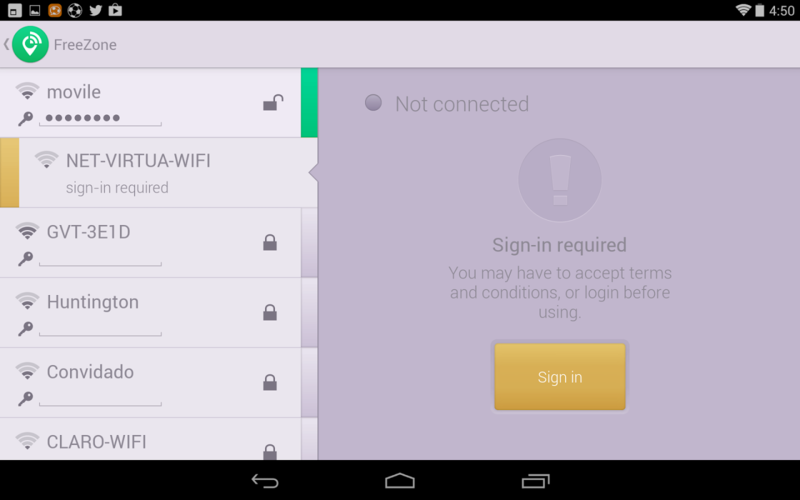 Instant access to more than 5 million Wi-Fi hotspots!